Think the government is keeping a watchful eye on your food supply? Officials say they are but critics contend an enormous amount of U.S. foods are being imported from other countries, raising all kinds of health and safety concerns. Food imports have exploded in recent years, totaling $119 billion in 2014, according to the USDA. That's nearly triple the value of imports from 15 years earlier. The problem is that food safety regulations in other countries might not be as tight as those in the United States. And U.S. regulators are challenged to keep up with the massive number of producers and shipments. Is imported food less safe? "The way it is manufactured, they don't have the same laws and regulatory systems that we do in the U.S.," said Dan Solis, the FDA Director of Import Operations in Los Angeles. His team is tasked with monitoring the food coming in through our borders at the Port of L.A. "Inherently, yeah, imported food manufactured overseas is probably riskier." The FDA says about 2% of all imported food products are tested in a lab. But that doesn't tell the whole story. The administration scans information about imports through a program called PREDICT, which will flag high-risk items. Then inspectors will decide whether to conduct physical examinations, make a records request to make sure suppliers are in compliance, or do a lab test. They also conduct inspections overseas. But the 1,403 facility inspections the FDA completed in 2013 were just over half of what is mandated under the Food Safety Modernization Act [FSMA], according to the Government Accountability Office [GAO]. It's also less than 0.5% of the 285,977 foreign food and feed facilities registered with the FDA. According to the GAO report, additional action is needed to determine just how many foreign inspections need to be done each year. The FDA concurred with the recommendations, "pending the necessary resources." The agency went on to say, in addition to inspections, FSMA provides the agency "with a multi-faceted toolkit" to better ensure food safety. The Centers for Disease Control has taken a particular interest in imported food over the past few years. The CDC says there have been more foodborne illness outbreaks associated with imported food as we eat more of it. A major area of concern revolves around imported seafood. It's the largest sector of imports into the country ... by far. Despite the fact that the United States has some of the longest coastlines of any country in the world, the nation imports more than 90% of our fish and seafood according to the National Oceanic and Atmospheric Administration. 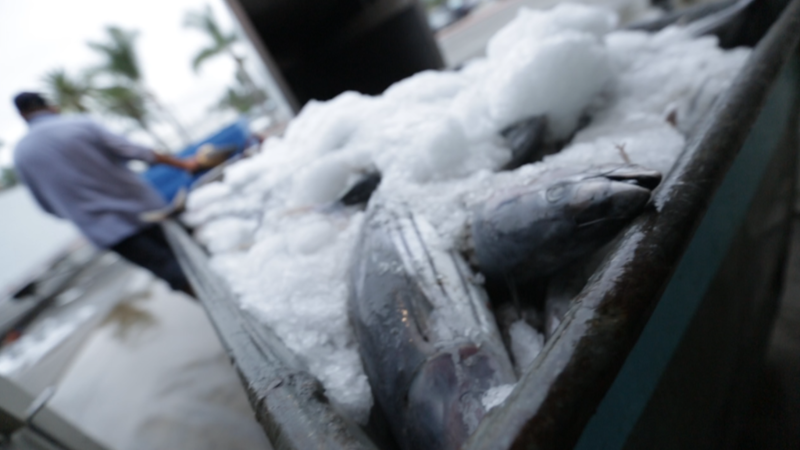 Even fish that is caught off the coasts of the U.S. is often sent abroad for processing. "It doesn't make sense. It is counter-intuitive," said John Deluca who runs an importing and exporting fish company. "You can take product produced in California, and you can ship it around the globe and back, and it's cheaper to do it there. There's something inherently wrong with that." Much of that processing is done in China. The country makes up about a quarter of all fishery imports to the U.S., according to NOAA. It also farms 100 times more fish than the United States. In fact the U.S. falls behind countries you might not expect when it comes to fish farming -- like Bangladesh, Myanmar and Egypt. Some people are trying to change that. "As the world's economy improves in China, in Asia in general, in South America ... they're going to keep more and more of the seafood that they're growing. And less and less of it will be available to us. Or it will get more and more expensive," said Don Kent, President of the Hubbs-Sea World Research Institute. He's trying to build a massive yellowtail farm off the coast of San Diego, called Rose Canyon Fisheries. "What we're trying to do is demonstrate how we can do it here in a sustainable manner so that the money and the jobs stay in this country instead of relying on someone else to grow the seafood."